The show starts with Raju cleaning the floor with a broom and informs Siddhu that in Bittu’s home even dust also doesn’t come. Bua comes there on the stage while trying to hide metal pot and informs Bittu that the metal pot is Gold and feels very ecstatic while speaking about it and speaks that she got it from Jungle (forest). 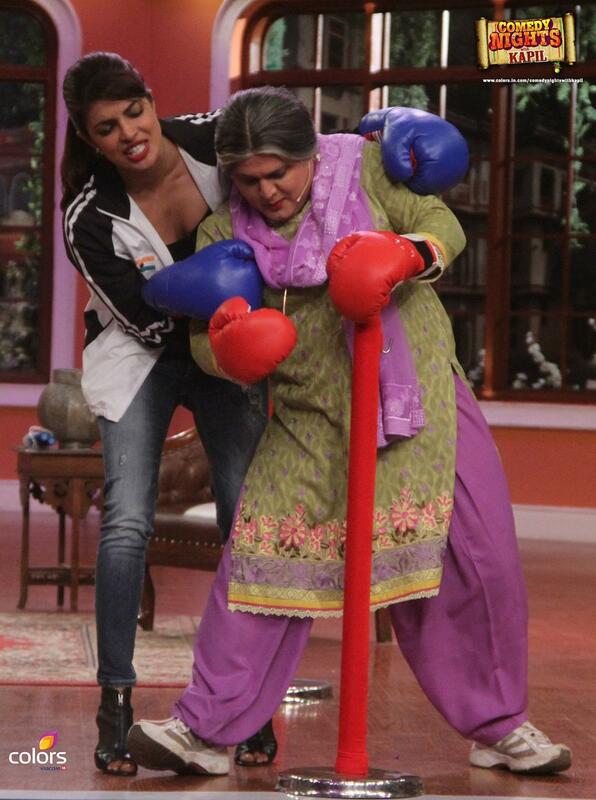 Guest on the show: Actress, Superstar, Singer – Priyanka Chopra and Omung Kumar – Director, coming on Comedy Nights for the promotion of their upcoming movie – Mary Kom. Kapil welcomes all and greets all independence day and speaks to Siddhu that a great poet has said – Khudi ko Kar Buland Itna Ke Har Taqdeer se Pehla. Khuda Bande Se Khud Pooche Bata Teri Raza Kya Hai (Quote/couplet by Allama Iqbal). Kapil speaks that it is true since courage and strong plans and beliefs will reach you great heights in life which not only makes their life a living example but also the movies that are made on those lives. Guest on the show: Actress and Superstar – Rani Mukerji coming on Comedy Nights for the promotion of her upcoming movie – Mardaani. 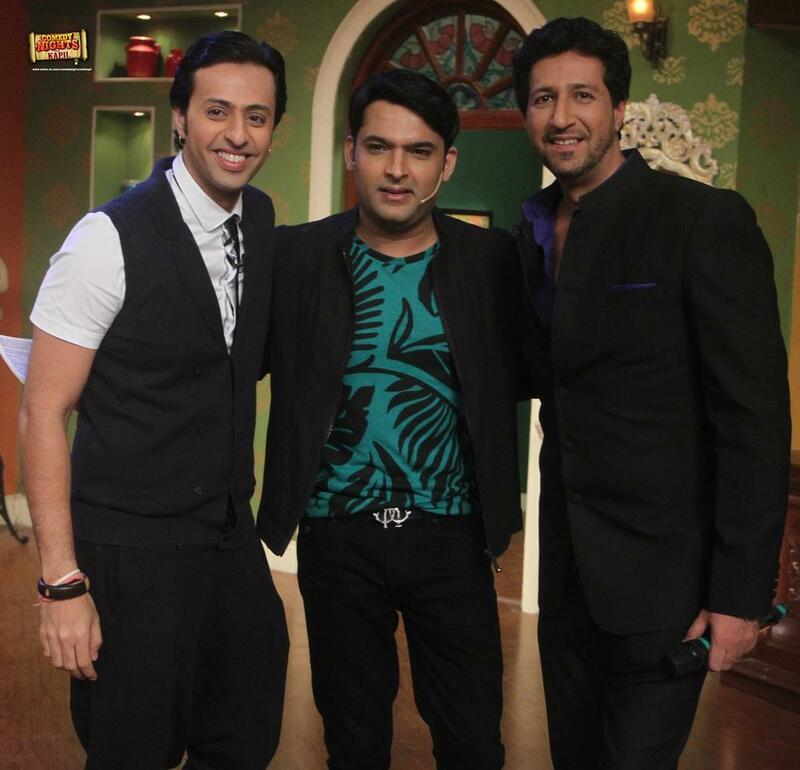 Kapil starts the show by singing – Teri Deewani and Sayonee Remix song, Preet Ki Lat Mohe Aise Laagi Hogayi mein matwari. bal bal jaoon apne piya ko ho mein jaaun vaari vaari…. Haari Mein…Dil Haari..; Sayonee song starts then.. Kaun Morae muhar.. Koi Khwab Nahin Chain Ek Pal Nahin Aur Koi Gal Nahin…. Sayonee…..bringing much smiles and laughter on everyone’s face. Kapil welcomes Rani Mukherji and refers to as the Queen and the one who rules in everyone’s heart and calls her as the most beautiful and talented actress. Kapil starts the show and welcomes all. Bittu speaks that all the family has went outside for a party and also makes a joke on his family’s faces and says that all looks equal. He speaks of enjoying the rainy season and wonders whether some girl will come to see him. At the same moment, a girl (played by actress Shweta Tiwari) comes there and is seen a bit wet and she informs Bittu that her car has some problem. Bittu becomes excited on seeing her and also hearing about the car’s problem and suggests that someone’s mood can be up when somebody car’s gets a problem. Kapil starts the show and welcomes all. Bittu speaks that all the family has went outside for a party and he is alone and wonders whether some girl will come to see him.. At the same moment, a girl (played by actress Shweta Tiwari) comes there and is seen a bit wet and she informs Bittu that her car has some problem. Bittu becomes excited on seeing her and also hearing about the car’s problem and suggests that someone’s mood can be up when somebody car’s gets a problem. He then asks whether she has a boyfriend, she replies in a soft and charming tone that until now she haven’t it but would like to have one. Sooner, the electricity goes off and she holds Bittu’s hand. 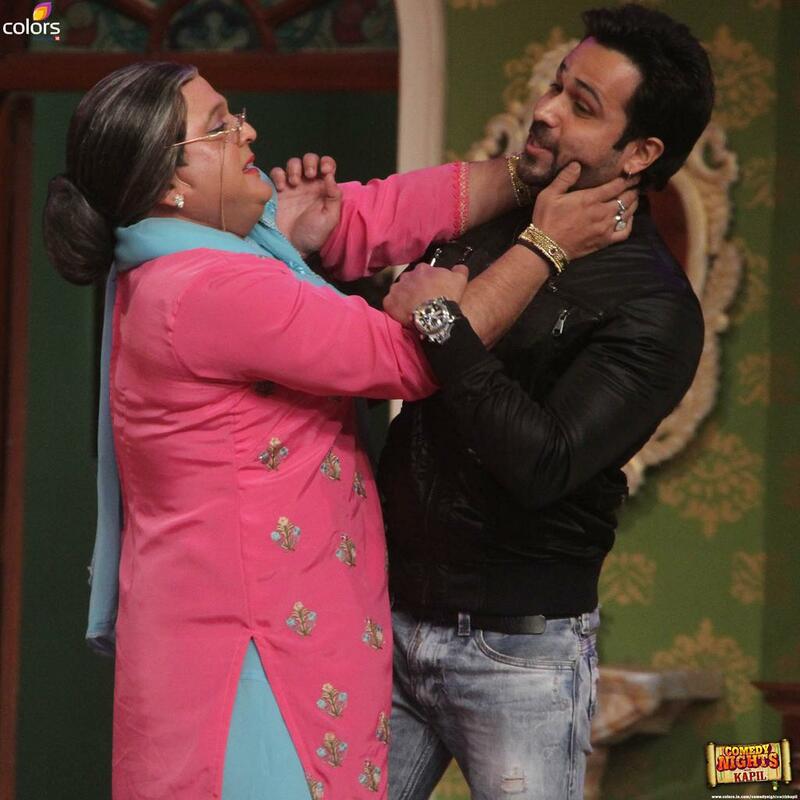 Kapil starts the show and comes on stage with a bang with Bua and Daadi while playing the band. Bua is ecstatic and Bittu informs Siddhu that he won all the matches in his neighborhood and Daadi suggests to drink as the occasion demands it in a very happy tone. Bittu asks her what if they have lost the match, she replies of drinking even then and creates her signature Phooyi sound. Sooner, Chaddha and Pankhudi comes on stage with Ramu and dances with a band and shouts about their victory. Bittu asks them how they can win ? Ramu replies on getting one more point than them thus victorious. Bittu replies that the match was played on their ground then Ramu if that is the case then he has brought the band people by himself so he should get double the points i.e., 20. Kapil starts the show and speaks that there was some news recently that Maria Sharapova doesn’t know Cricket legend Sachin Tendulkar. He then suggests that people in India now knows who is Maria Sharapova and furthermore many boys in India know her but they don’t know what sport she plays and only know her by her physical appearance and all seems to be spoken in light-hearted manner. He speaks of different games which children used to play like Lukka Chippi, Kho Kho, Doctor Doctor.. and the children were very creative at that time. He speaks of Desi Golf which is Kancha and Goti. Siddhu speaks of seeing Kapil paaji playing it. Kapil thinks that golf is a lazy game as you hit your shot after taking lot of time and then go to search for the ball by going into a jeep. Kapil makes a grand entry on stage by coming on a luna bike with popular and loved Cricketer and Star Virat Kohli. In a lighter tone he informs the audience of not able to get Virat on CNWK since he was not taking his phone call and admits the fans request for Virat on show since many months. Sooner, Daadi comes on stage on a bang and gets a chant from audience Daadi Daadi. She wants a match pass and Virat asks her which stand ? Daadi replies that she wants a pass to stay in front of the umpire on the cricket pitch. Kapil starts the show and speaks that there was some news recently that Maria Sharapova doesn’t know Cricket legend Sachin Tendulkar. He then suggests that people in India now knows who is Maria Sharapova and furthermore many boys in India know her but they don’t know what sport she plays and only know her by her physical appearance and all seems to be spoken in light-hearted manner. He then speaks that children plays with clothes’s bubbles and play cricket with it and the mother beats them as well a bit. Guest on the show: Actors and Superstars – Alia Bhatt and Varun Dhawan; TV and Film Actor- Siddharth Shukla; and Karan Johar – Filmmaker (Director/Producer),Host,Judge and Actor, the team of Humpty Sharma Ki Dulhania. Kapil welcomes all and speaks that people think that couples (Jodi’s) are made by God then asks how then we see couples at Bandstand in Mumbai hiding behind big stones bringing laughter and asks are they discussing budget there ? He speaks that these couples are made in college, school, and then they are seen behind stones away from public eye. He suggests that police comes there and hits the man beneath his ears and he will just utter that he is a mobile phone repair technician. 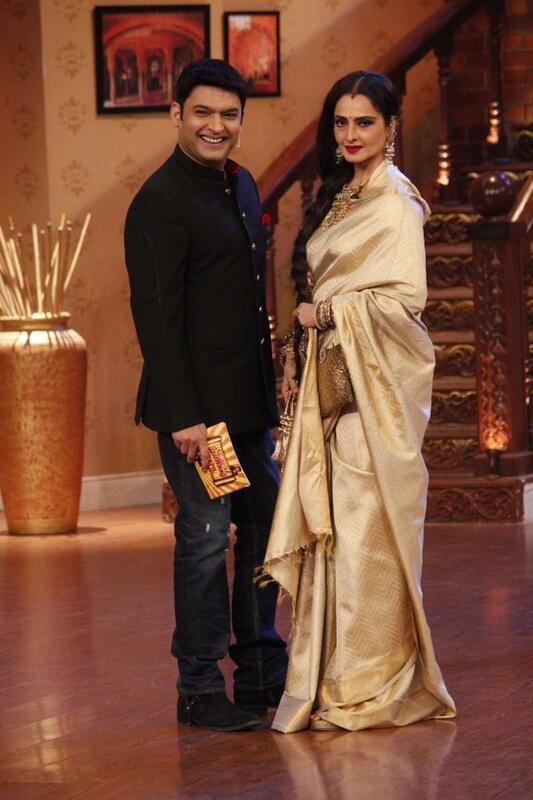 Guests on the show: Actresses and Superstars Vidya Balan and Dia Mirza – the team of Bobby Jasoos. 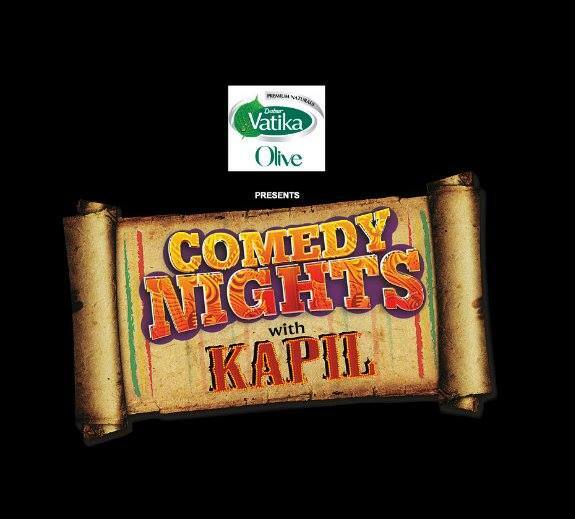 Kapil starts the show and is seen reading the newspaper. He finds a news that a mastermind has been caught along with the fake notes. He then asks how come a mastermind can be caught ? He then finds another news that India has won the cricket world cup for the second time, and his musician informs him that the news is old. Bittu responds that even the newspaper is old so as to prove him right. Bittu taunts his musician humorously and asks him if he knew so much they why he is not playing and working in the music band of A.R. Rahman invoking a laughter.